Invite all of your friends for a South Carolina barn wedding that they'll be talking about for years to come! 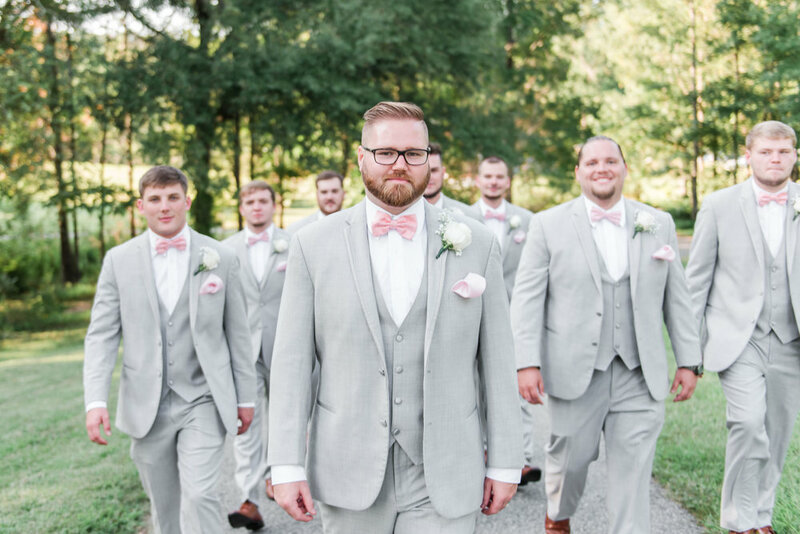 Since these casual country affairs are all the rage right now, we couldn't resist showcasing this lovely wedding in our Real Weddings series. Get inspired by this couple's modern, inviting take on South Carolina barn weddings. 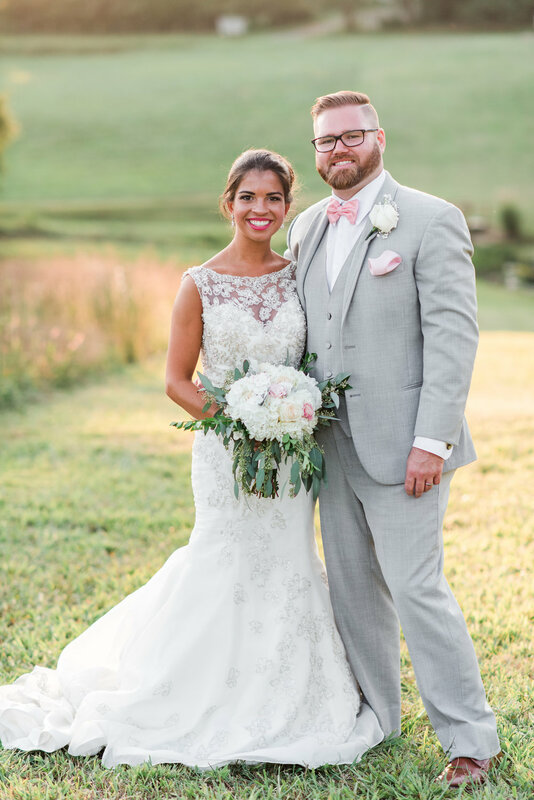 Sierra and Chase tied the knot at the beautiful Hampton Road Farms in Inman, a small town just outside of Spartanburg. The traditional red barn was festooned in lots of glitter, strands of pearls, and plenty of pink for a delicate, festive event that shimmered in the afternoon light. While it might have been warm in the September sun, the couple and their visitors didn't let that stop them from enjoying every moment of the day. Mallori Ma from Mallori Ma Photography managed to preserve all of the lovely details.